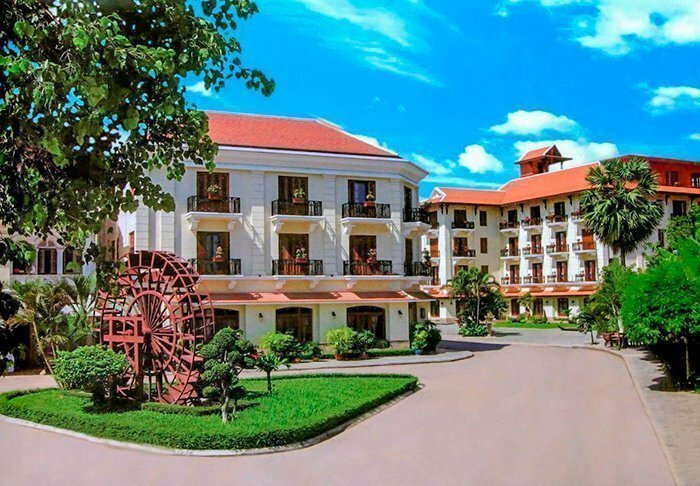 Here, you can find out more about the hotels that we use during our tours to Cambodia. 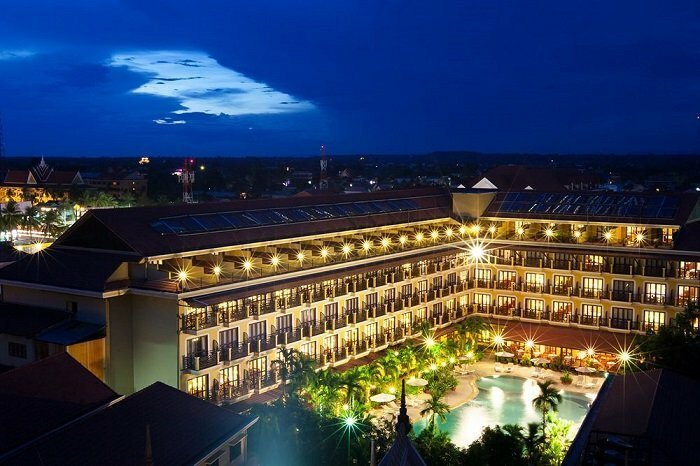 The Bambu Battambang Hotel opened in 2010. It is a boutique hotel with only 16 luxurious rooms and therefore provides quests with a very special accommodation experience. 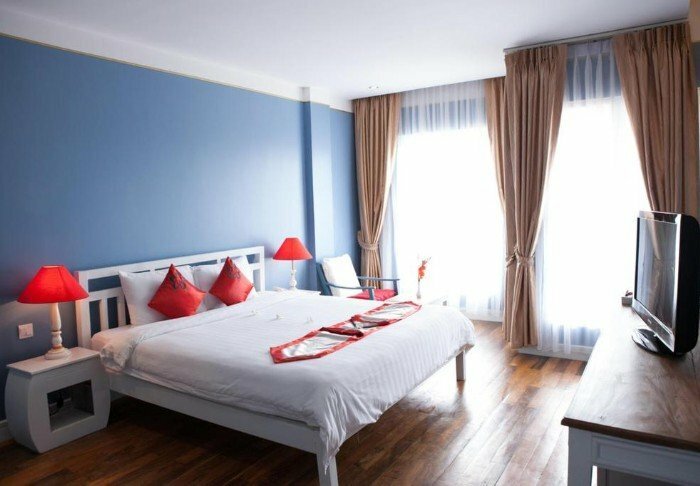 The rooms are located in four traditionally inspired buildings in the heart of Battambang, just a short walk from the river. 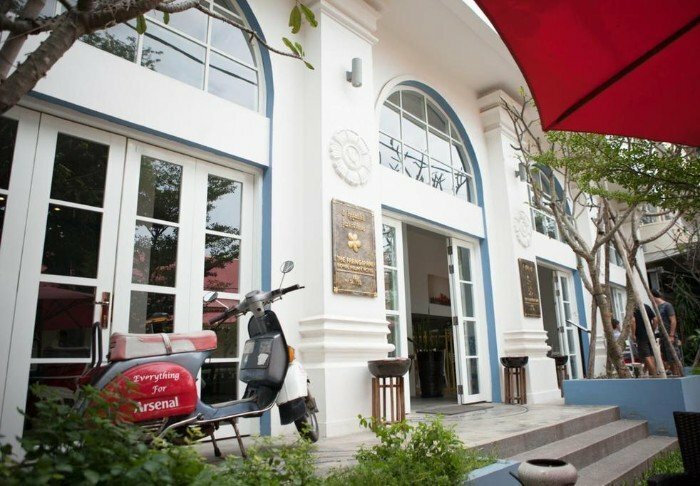 The hotel designers drew inspiration from the best of two worlds: the local Khmer culture and French colonial architecture. 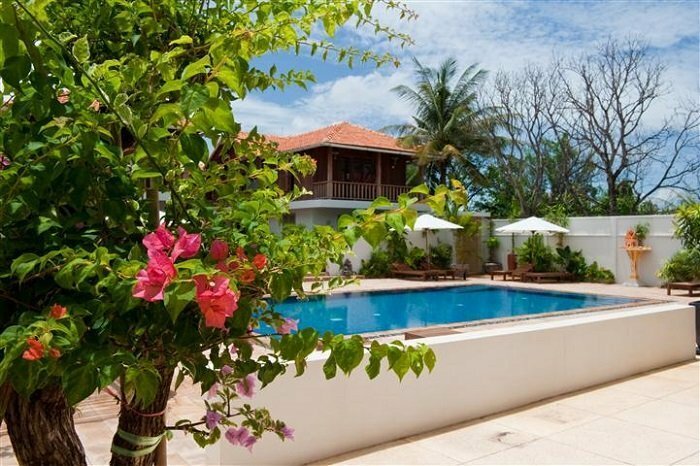 The rooms are simply furnished, and all have either a small garden or a balcony. 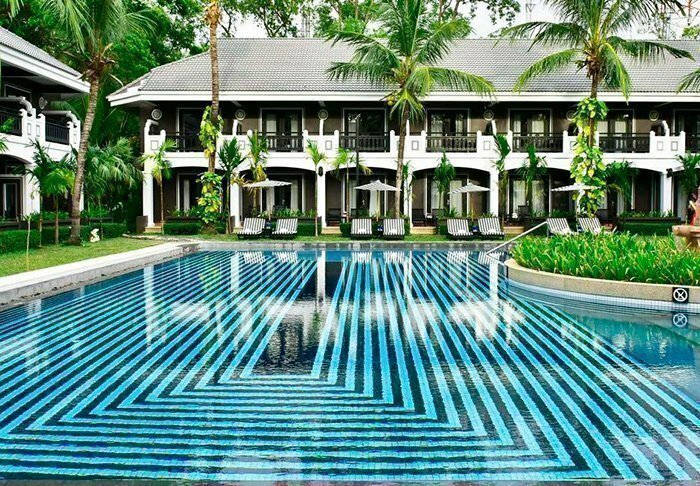 Shared facilities include a bar, restaurant and a delightful pool. 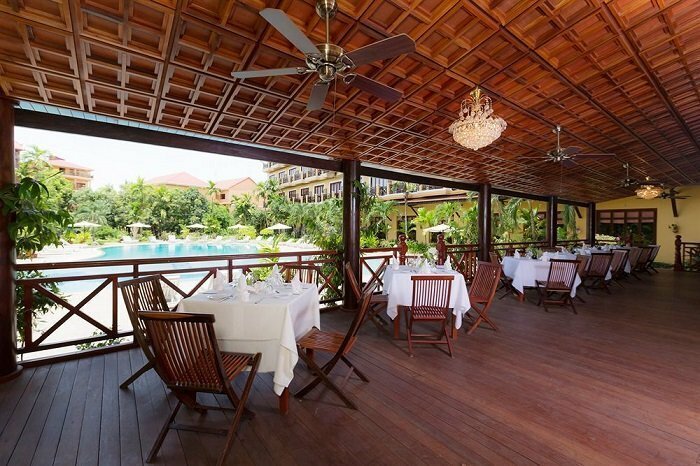 Veranda Natural Resort is located on the mountain slopes below Kep National Park, overlooking the Gulf of Siam and Tonsay Island, with Phnom Bokor National Park on the horizon. 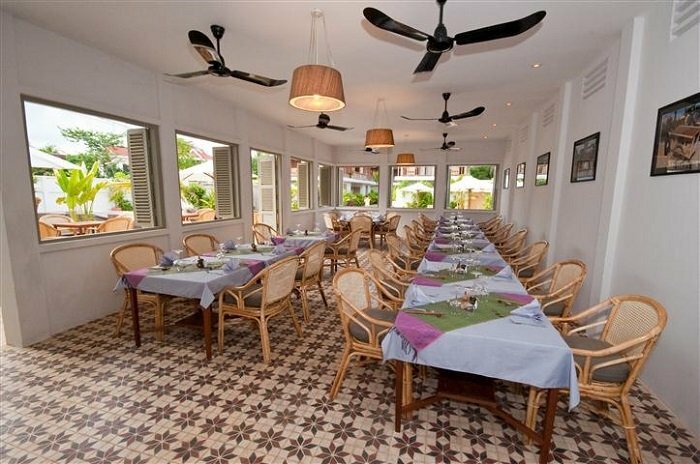 The hotel is a bungalow resort designed with plenty of attention to beauty, tranquillity and fine cuisine. From the main building, there are suspended wooden walkways to all the bungalows. 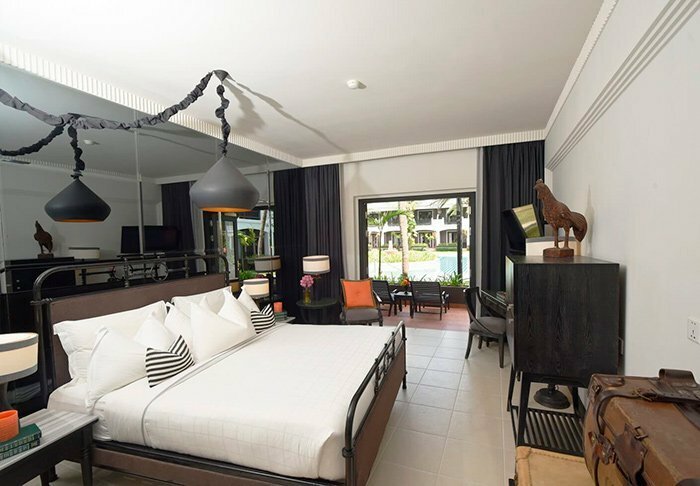 The bungalows themselves are individually furnished in minimalistic style, but with luxurious materials, and all feature Wi-Fi. 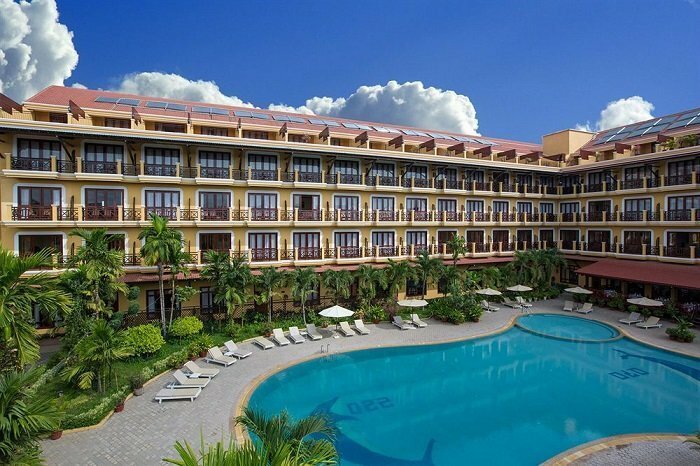 Facilities at the resort include a swimming pool with pool bar, a restaurant serving magnificent meals, and a café with its own bakery, which conjures up the most delicious cakes! 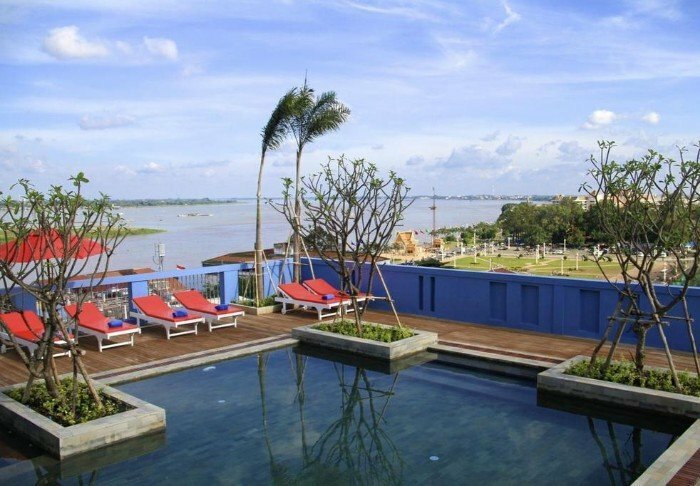 The delightful Frangipani Royal Palace Hotel is located in the heart of Phnom Penh, on the outskirts of the city’s art district and just a few minutes’ walk from the busy river front and the historical Royal Palace. 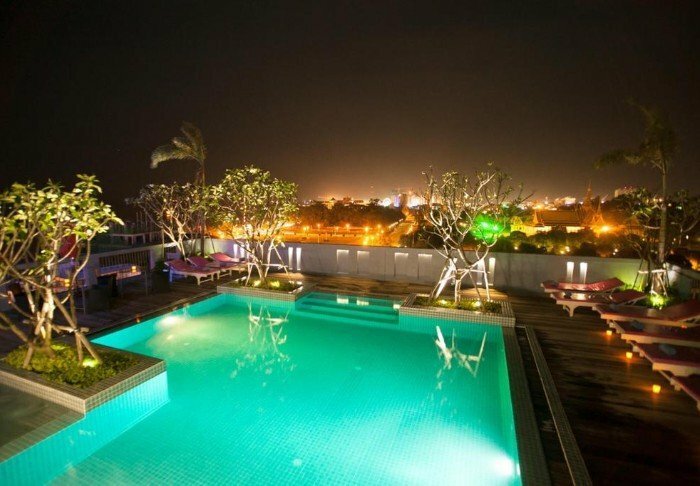 The hotel has a rooftop swimming pool, rooftop restaurant and bar, a café, a spa department and an art gallery. 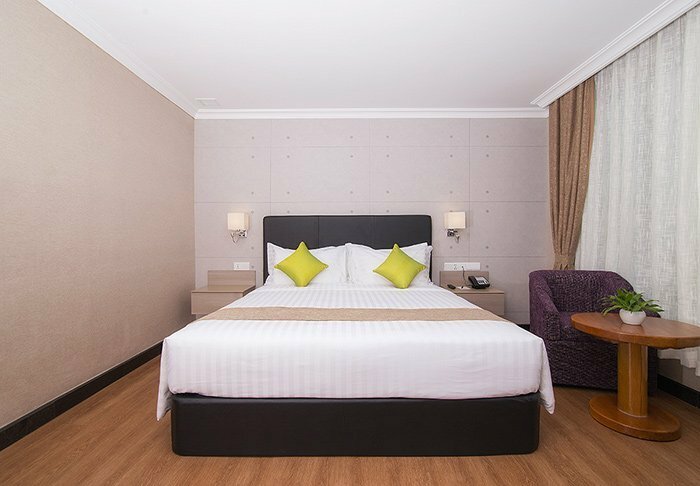 The spacious rooms are all furnished in contemporary Cambodian design, distinguished by pastel shades interspersed with dashes of strong contrast colour. 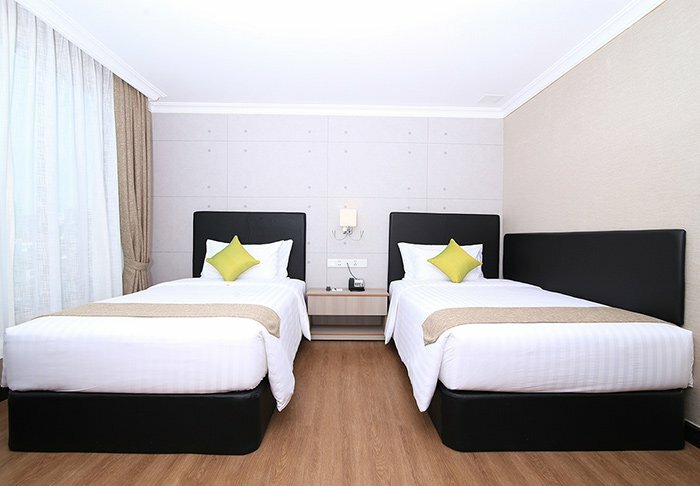 The rooms are equipped with Wi-Fi, a TV, minibar/refrigerator, hair-dryer and safe. 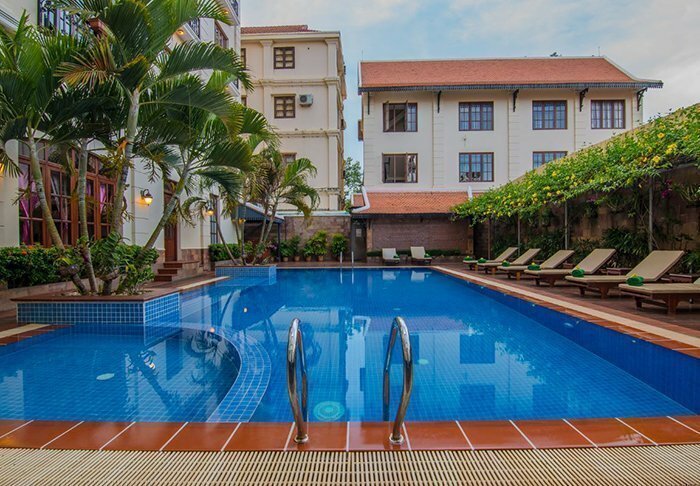 Kravan Hotel is located in the heart of Phnom Penh, within walking distance of the city’s popular attractions, including the Royal Palace, the National Museum and the famous Buddhist temple, Wat Phnom. 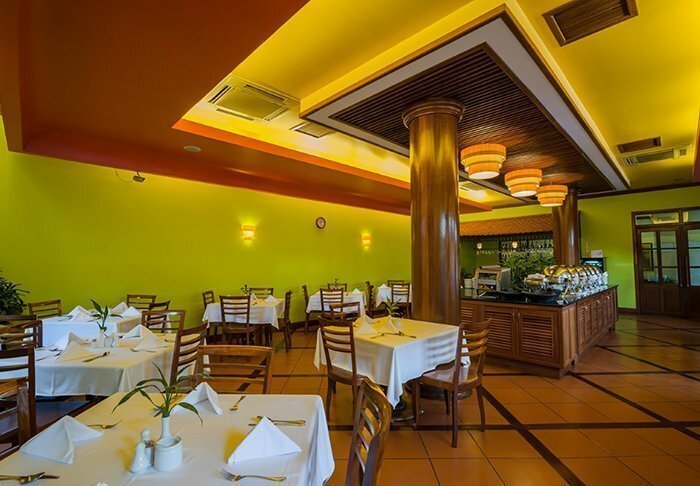 Restaurants, cafés and supermarkets are also nearby. 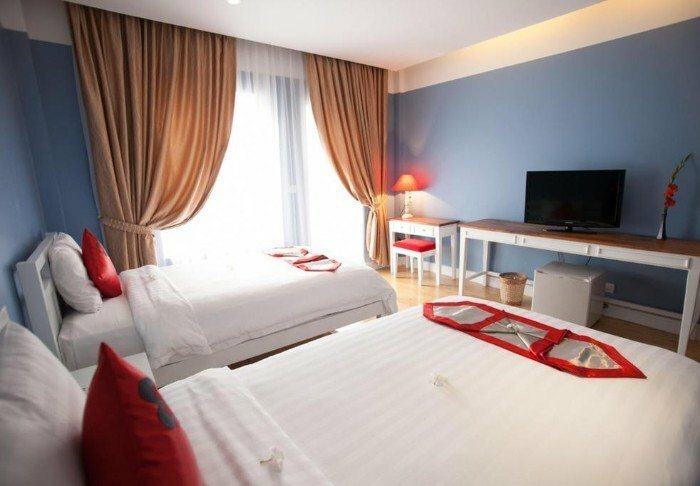 The hotel has a total of 90 rooms, all fitted out with a flat-screen TV, a safe, air conditioning, a minibar, an electric kettle for tea and coffee and a small seating area. In addition, all rooms have sound-proof windows. 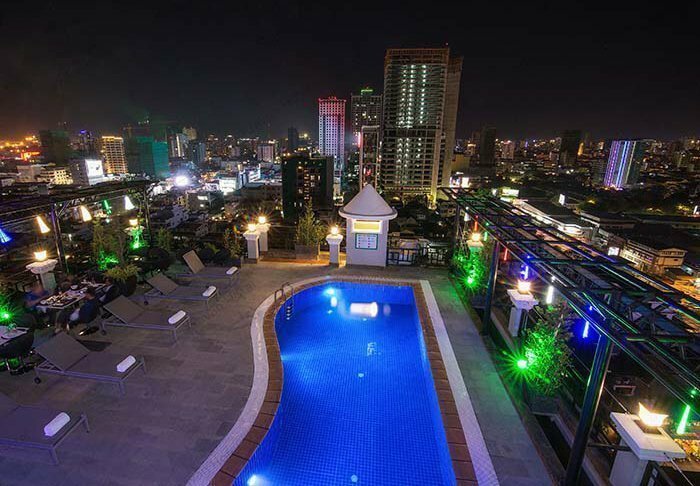 On the 15th floor, you will find the hotel’s sky bar, swimming pool and roof terrace, which affords a phenomenal view of Phnom Penh. Relax here after a day of sightseeing and watch the sun go down. 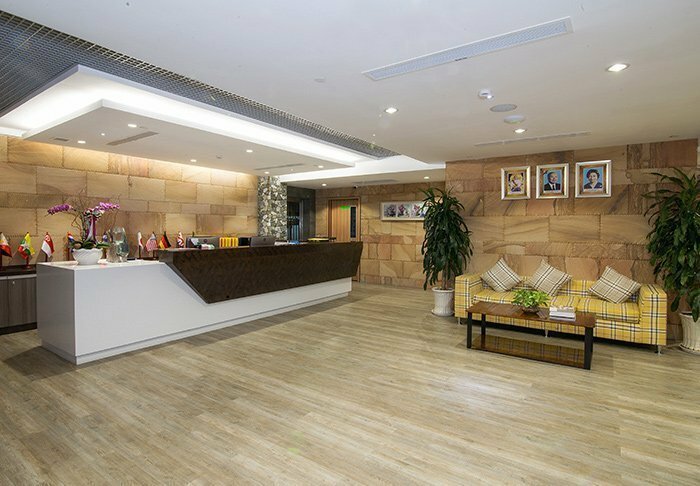 Breakfast and lunch are served at Kravan Restaurant on the 13th floor, and if you’re the type who likes to keep fit, you can visit the hotel gym on the 16th floor. 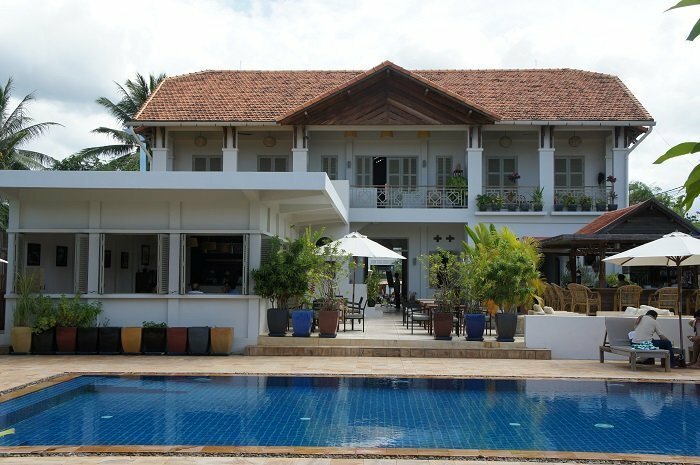 The Angkor Paradise Hotel is situated in the heart of Siem Reap, close to local markets and a shopping centre. The famous old market of Phsar Chas, a lively street of bars where there is the busy night market, is about a ten-minute walk away. 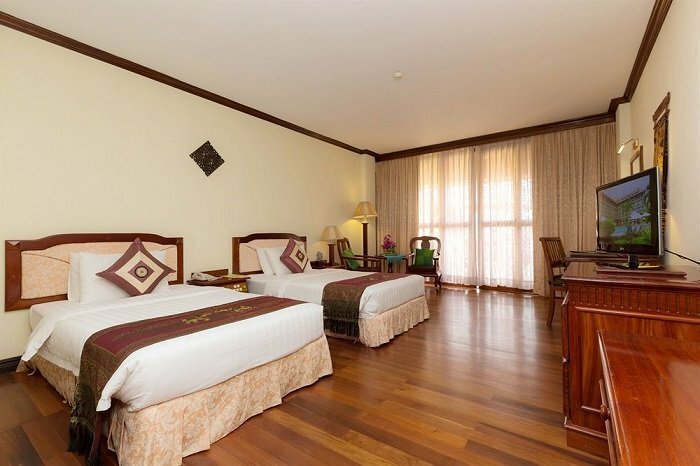 It is about a 15-minute drive to Angkor Wat. 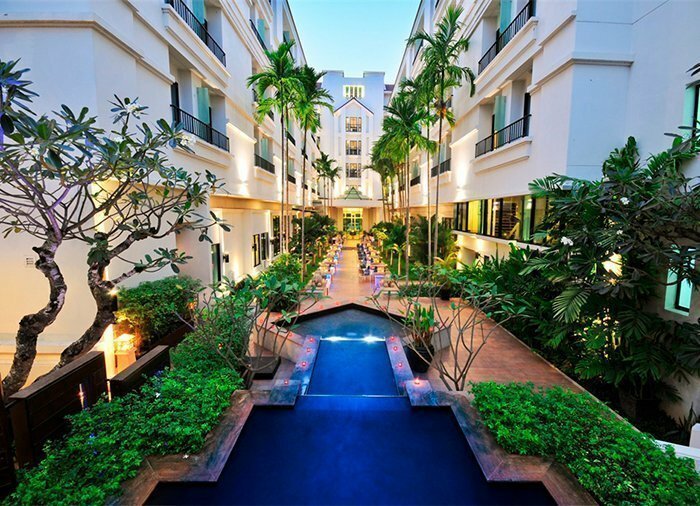 The hotel has a nice swimming pool, a small fitness centre, a restaurant, a spa and Wi-Fi in all public areas. It is on five floors, with a total of 169 rooms, each of which has beautiful timber flooring made from local dark woods, an en-suite bathroom with separate shower and bath, and either a balcony or a terrace. All rooms have a minibar, a safe, a flat-screen TV with satellite channels, and tea- and coffee-making facilities. 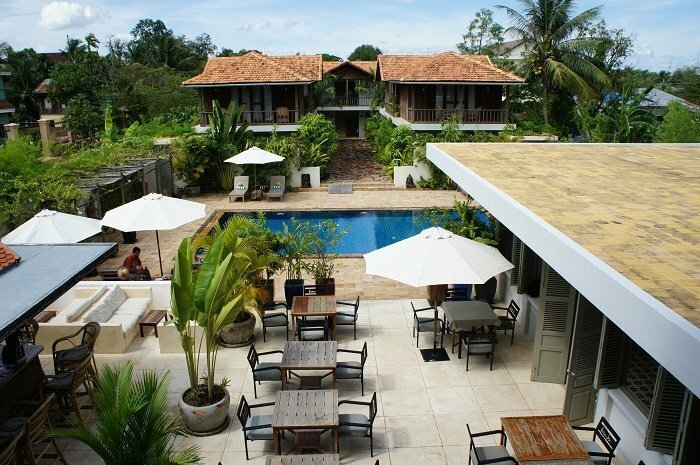 Centrally located in the French quarter of Siem Reap, surrounded by the city’s beautiful greenery, is the hotel Shinta Mani Shack. 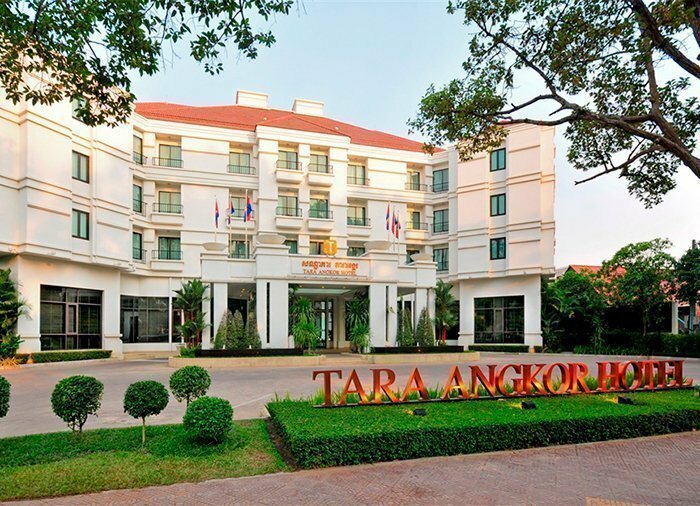 Here, you are a mere 15-minute tuk tuk ride away from Angkor Wat and most of Siem Reap’s other sights. 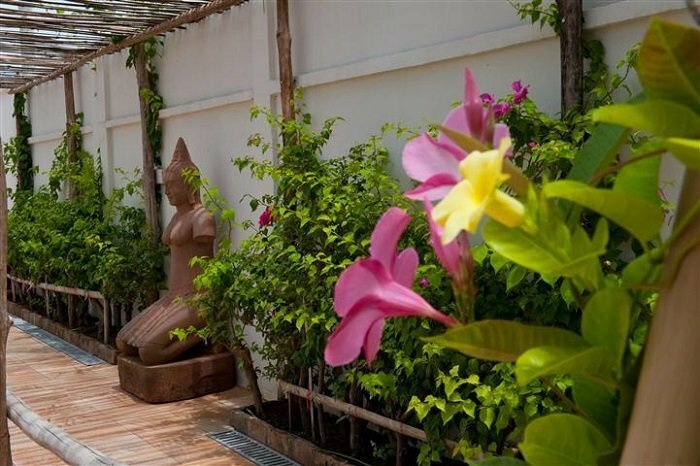 This cute courtyard hotel has 66 rooms furnished with unique hand-made lamps, large wall mirrors and custom-designed iron tube bed frames. 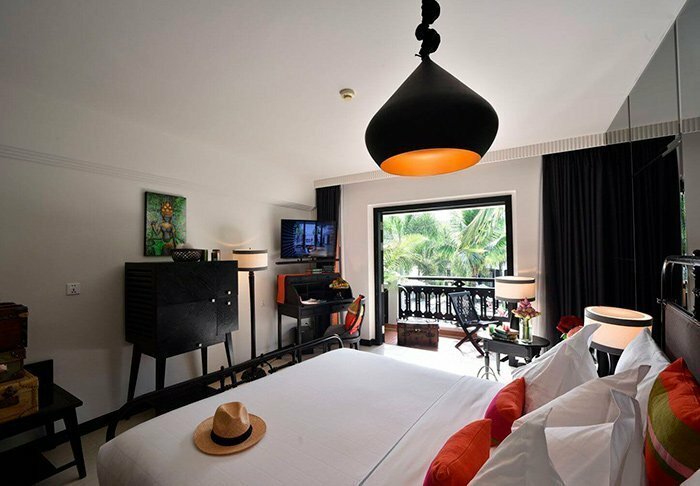 All rooms either have direct access to or a view of the pool and the hotel’s tropical garden. They all also offer tea/coffee making facilities, a safe, a minibar, air conditioning, a wall-mounted LCD TV with Bluetooth speakers as well as an en suite bathroom with a shower, hair dryer and free toiletries. 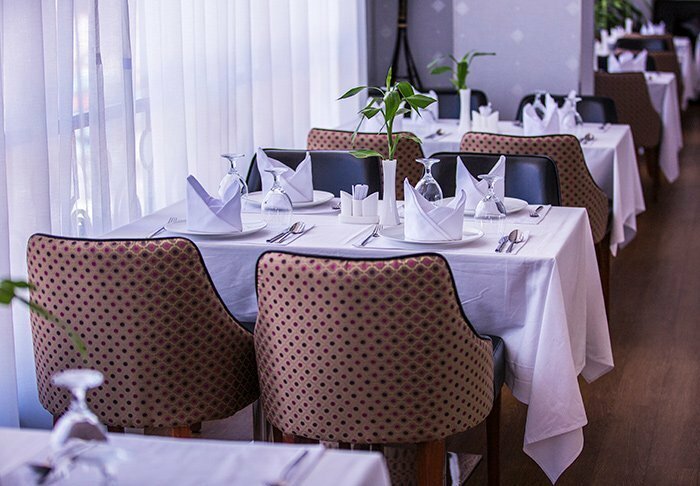 The hotel has five restaurants and bars serving an incredible selection of culinary delights, perfect for meeting everyone’s wishes. 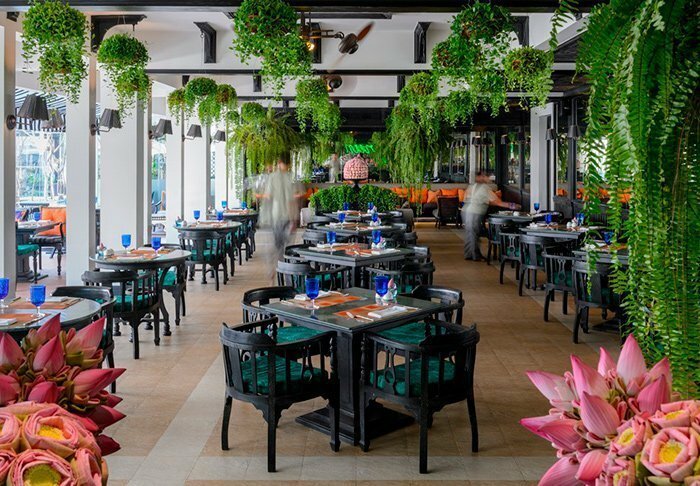 Among them is the Baitong restaurant, which serves an irresistibly delicious breakfast buffet and the Kroya restaurant, which serves unforgettable Khmer cuisine – Cambodian specialities. 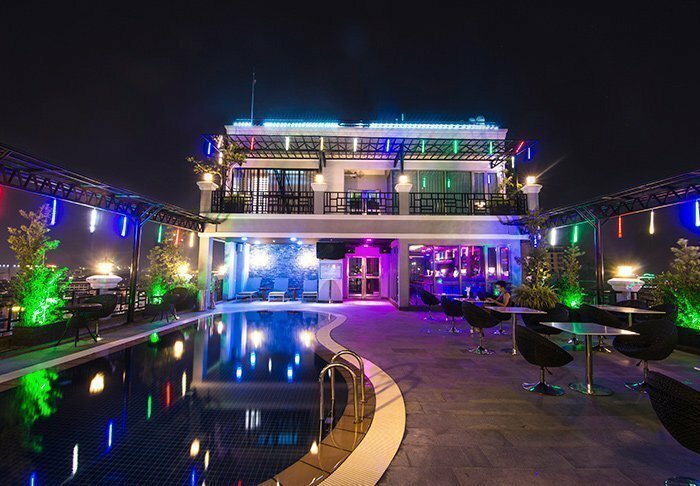 During the day, you can purchase drinks and snacks at the poolside bar, and you can spend the evening at Bensley’s Bar at the top of the hotel, which offers a cosy atmosphere in which to enjoy a cocktail and the view of the hotel’s idyllic courtyard. There is free Wi-Fi throughout the hotel, and the artwork is designed specifically for the hotel’s surroundings. 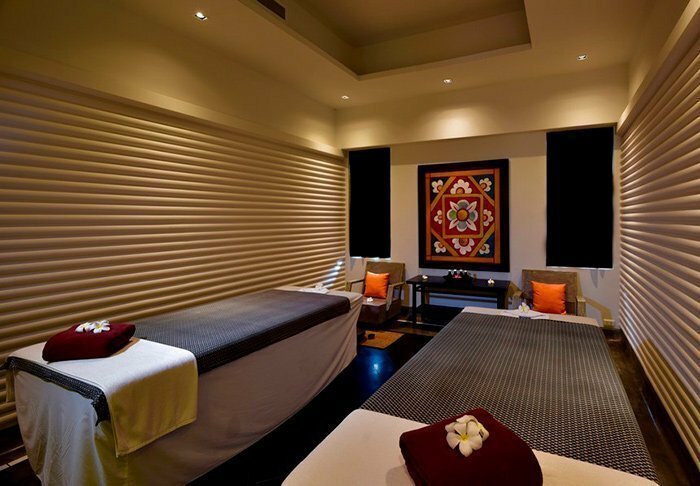 Make your stay extra special by purchasing spa treatments at the hotel’s own Shinta Mani Spa, renting bicycles to explore the area or participating in the hotel’s excursions (fee payable). 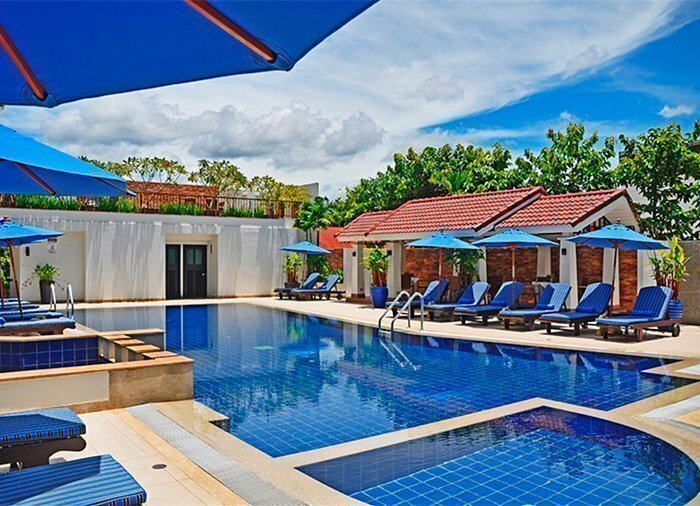 This 4-star hotel is located in Siem Reap, close to Angkor Wat and the other impressive Khmer temples. 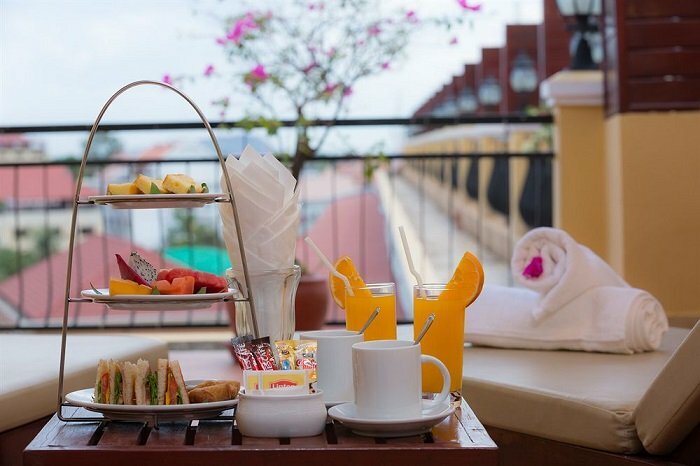 The hotel has more than 200 rooms, all featuring conveniences such as cable and satellite TV, air conditioning, free WiFi, a minibar, safe and tea- and coffee-making facilities. 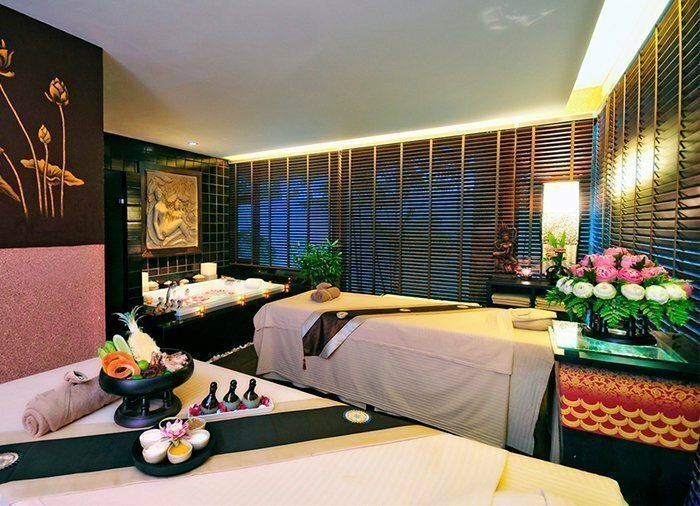 Other facilities at the hotel include: two restaurants, two bars, a fitness centre, spa department, souvenir shop, bureau de change, and a large swimming pool with a jacuzzi. You can also borrow bicycles free of charge from the hotel. 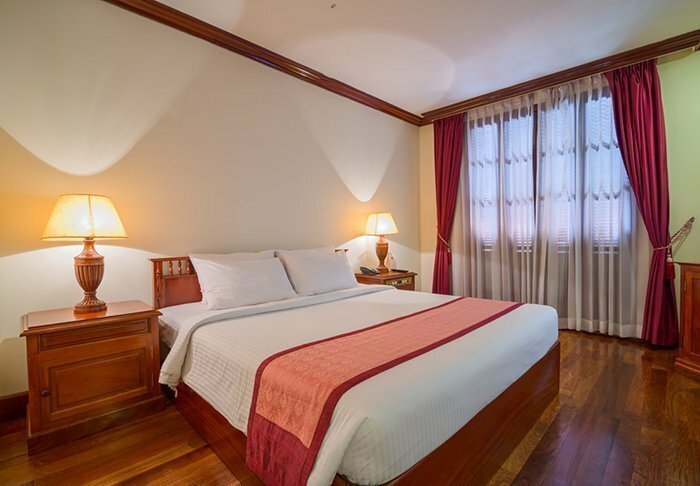 Just a few minutes’ walk from the famous old Phsar Chas market, the lively pub street and the Siem Reap River is the elegant Steung Siemreap Thmey Hotel. Despite its central location, its position and soundproof windows ensure that you are not disturbed by noise from the surrounding areas. 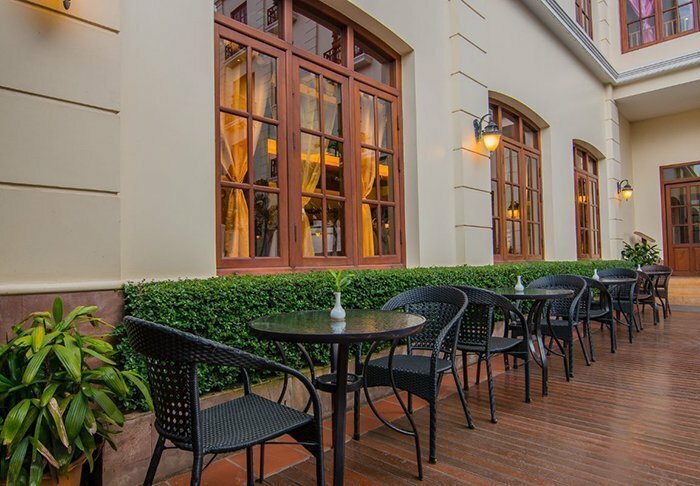 The stylish hotel was built in the 1920s, and the style has been maintained since then by retaining the polished wooden floors and wrought iron balconies. 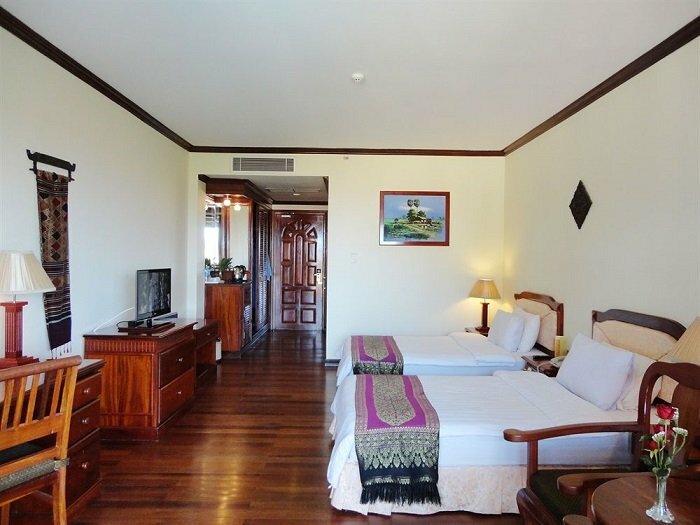 The 76 rooms offer all modern amenities and are furnished in French-colonial style. 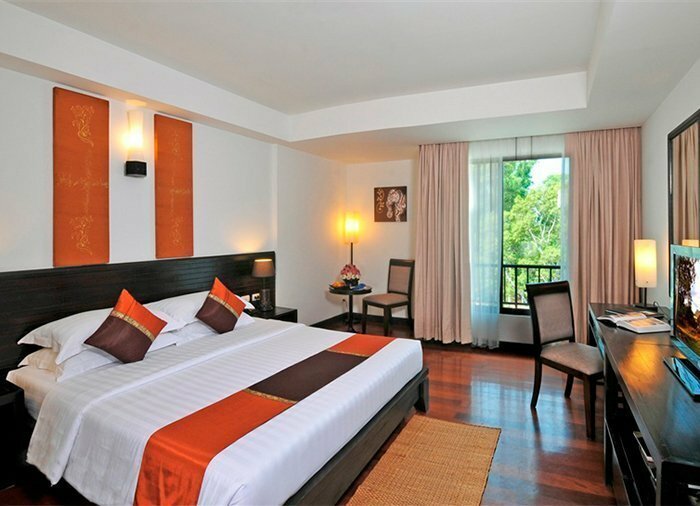 The amenities include a mini bar, a safe, TV, air conditioning, bath with shower and tea and coffee making facilities. 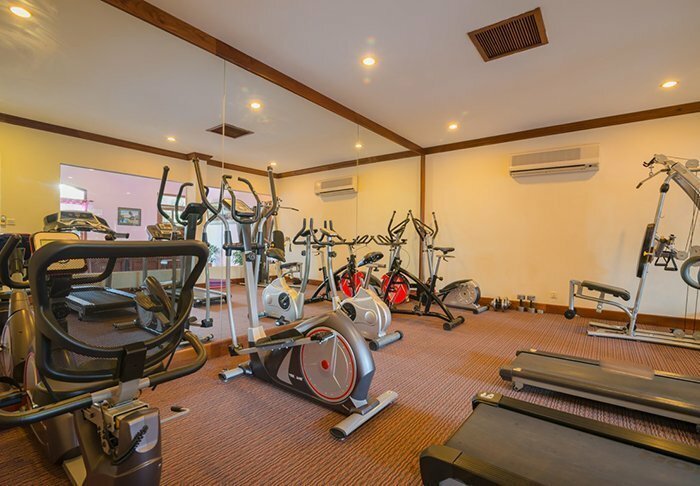 The hotel also has a gym, sauna, swimming pool in natural surroundings as well as a bar and restaurant. 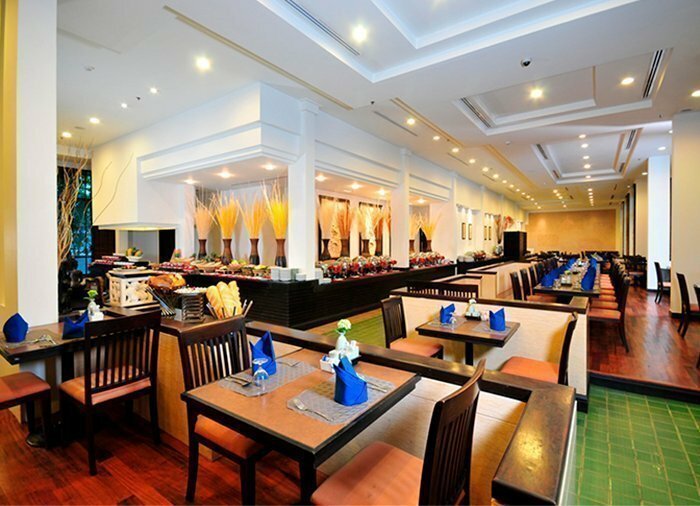 The restaurant promises a local culinary experience with a buffet and international and Cambodian a la carte dishes. 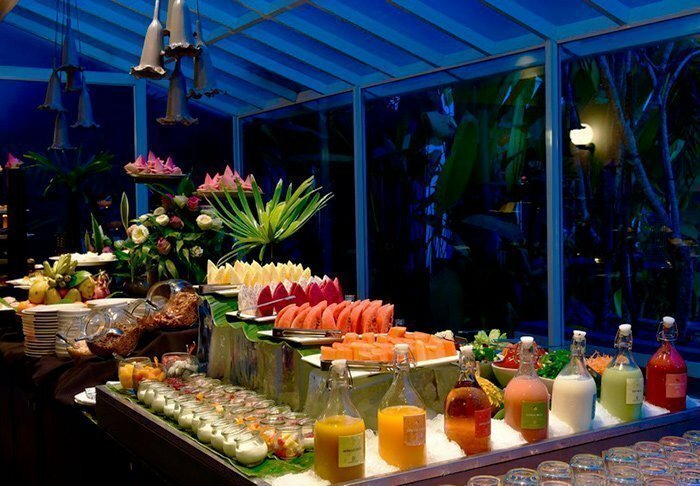 A buffet breakfast is served in the restaurant.